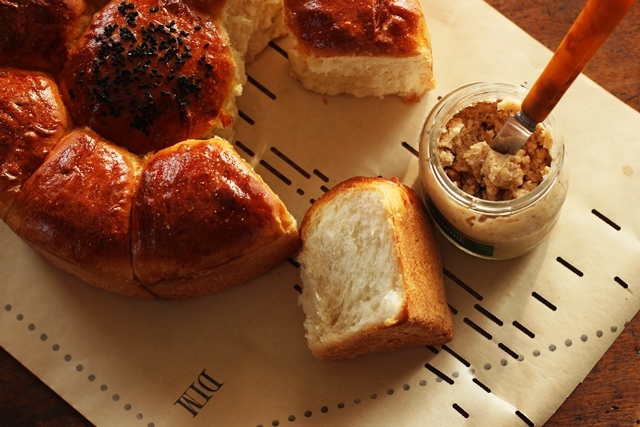 First and foremost duty of the kids in Turkey to bring home the bread. Literally. Along with the daily newspaper. This duty is especially important on the weekends. The weekdays used to go by with the hectic work and school schedule, parents used to read their newspaper when they got to work or on the buses. But when the weekend rolled around, we knew we were going to be sent out to buy bread and the newspaper before breakfast, rain, sleet or shine – while our parents were busy in the kitchen, fixing the weekend breakfast, one of us would start collecting the change from my mom’s purse or my dad’s pockets to go fetch the morning necessities. I might have complained time to time when it was my turn – if it was very cold outside. But I kind of enjoyed this ritual. As with any ritual, there is a comfort in it, knowing what you will do exactly , who you will talk to and what you will say in that brief moment along with familiar smells. I would first head to the newspaper kiosk, get the daily newspaper, all neatly folded with many additional sections. 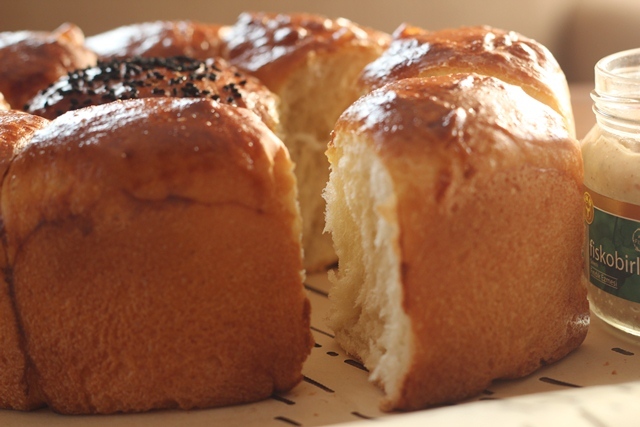 Then I would head to the bakery, spend a minute trying to pick which bread to buy.Usual bread loaf went home many times but if they had the “flower bread”, as we called, my eyes would always land on that and my finger always would point to that bread. Don’t know why but I found the flower bread cheerful. It simply made me happy. After I got my bread, I would hold that bread, in its beige paper wrap, close to my chest and provide more protection with the newspaper from the cold weather. Then would run back to the house, to the promising smell of eggs with Turkish soujuk or bastirma. 1. Mix flour, salt and yeast in a mixing bowl. Add honey, milk, water and butter and knead until all the dough comes together. It will be soft dough but not runny. Put it in a lightly oiled bowl,cover and let it rise until it doubles in volume. 2. Divide the dough in 9 pieces. Roll the pieces into separate balls. One piece should be slightly larger than the other 8 pieces. This will be the center. The other 8 pieces should all be equal. 3. Butter an 8-inch baking pan (about 2 inches deep). Put the bigger piece in the middle of the pan. Place the other 8 pieces equally around the center piece. Cover with a clean cloth , let it rise again for another hour or until it doubles in volume. 4. Preheat the oven to 425-degree F. Whisk the egg in a small bowl and brush it on top of all 9 pieces. Sprinkle nigella seeds or sesame seeds on the center piece. Bake for about 30 minutes or until golden color. This makes me happy too! I love to visit Turkish bakeries…there are so many different kinds of bread piled up beautifully in the counter…you have no idea how bad I wish my belly was bigger than my eyes. 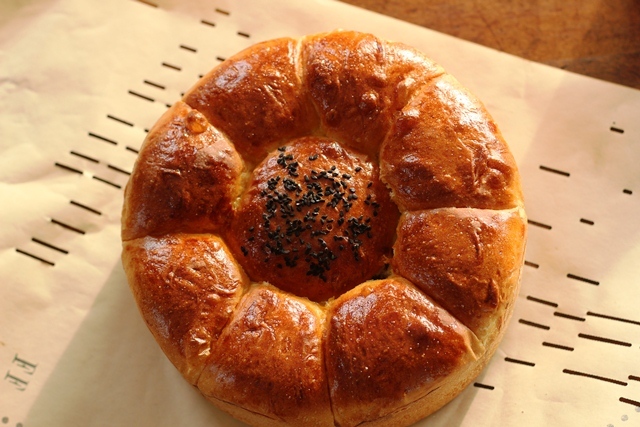 This flower bread is just irresistible! Looks yummy! Can’t wait to try this! Tesserkerlur!! Pretty bread. I love small routines like buying bread and the paper – they provide a minor pleasure, but pleasure nevertheless. Good post – thanks. How pretty your flower bread is! Thanks for sharing such a sweet story from your childhood. Hope all is well your way! What a beautiful bread! I can see why this would make you happy when it was your turn to buy the bread. Wonderful tradition and wonderful bread. I would love to take a piece right now.